David Nurit (b. 1952, Israel) Lives and works in Tel Aviv. Studied at Art Teachers Training College, Ramat-Hasharon. 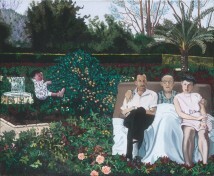 Held solo exhibitions at Tel Aviv Museum of Art and Givon Gallery, Tel Aviv. Participated in many group exhibitions in Israel and abroad. 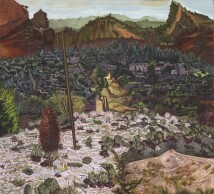 Recipient of many awards, including the 1993 Sandberg Prize for Israeli Art, Israel Museum, Jerusalem and the 2006 Rappaport Prize for an Established Israeli Artist, Tel Aviv Museum of Art.